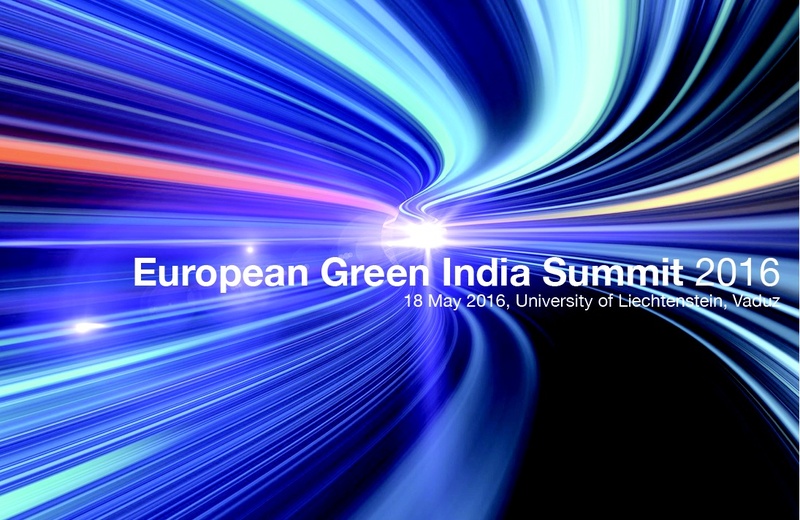 The European Green India Summit (EGIS) will take place for the first time on May 18th, 2016. This joint initiative by the Liechtenstein Institute for Strategic Development and Panitek AG will form the second day of the “Namaste India – Second India Week in Liechtenstein” organized by India Club in Liechtenstein, and launched by Minister Aurelia Frick. EGIS, the European Green India Summit is dedicated to exchange and trade of ideas and services between India and Europe. This year it is focused on Green Infrastructure and Urban Development. The European Green India Summit (EUGIS) will take place for the first time on 18 May 2016. This joint initiative by the Liechtenstein Institute for Strategic Development and Panitek AG will form the second day of the “Namaste India — Second India Week in Liechtenstein” organized by India Club in Liechtenstein, and launched by Minister Aurelia Frick. EUGIS, the European Green India Summit, is dedicated to exchange and trade of ideas and services between India and Europe. This year the Summit is focused on Smart Cities: Green Infrastructure and Advanced Urban Development. What policy frameworks promise to support strategic alliances towards sustainable development - especially in renewable energy and energy efficiency across Indian-European trade lines? What are the finance drivers for a sustainable urban future, in renewable energy and efficiency? What are the renewable energy and energy efficiency technologies and IT systems that form the core of a sustainable urban future? What outcomes will mark a successfully green urban system? All speakers are invited, but may not all be confirmed at the time of publication. All program elements are subject to change without notice.